Recently, Senate Bill 360 was signed into law, stating: “No person shall operate a motor vehicle on any public road or highway of this state while using a wireless telecommunications device to write, send, or read any text based communication, including but not limited to a text message, instant message, electronic mail, or Internet data.” It has become more and more prevalent throughout the country that states will crack down hard on those who cause accidents due to distracted driving, especially due to texting. In recent years, fatalities have jumped considerably, with nearly 6000 fatalities and half a million injuries caused due to driver distraction. An inattentive driver can cause greater injury and harm than one who is paying attention, as they generally will be distracted and do little to avoid the impact or take evasive actions. 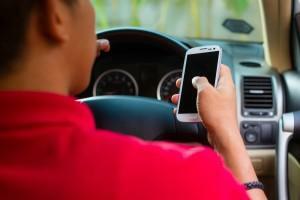 If you have been injured due to someone texting while driving, you have the law on your side. Negligence due to texting resulting in injuries in an accident can allow you pursue compensation from those liable. An attorney from Van Sant Law, can provide you with the aggressive and caring legal representation you need following your accident. CONTACT AN GEORGIA ACCIDENT LAWYER TODAY! With former experience as insurance defense attorneys, our legal team is well-versed in how the insurance companies will attempt to settle the claim. We are ready to provide well-researched investigation to prove all aspects of your losses in order to maximize your compensation. Let our caring legal team work diligently on your behalf in pursuing a recovery of damages for your losses. We will be seeking compensation for your medical costs, future related medical care, lost wages, as well as pain and suffering.